Just 40% of finance executives rated their financial planning and analysis capabilities as effective. It's time for a change. It’s a tough time to be leading finance. Current levels of business uncertainty—whether driven by hard-to-predict customer demand, new government regulations, or weird weather patterns—is complicating the task of managing financial performance. Meanwhile, private equity firms looking to cash out of acquisitions made during the recessions are pressing CFOs to create smooth glide paths for landing to their IPOs. In another corner, activist investors are demanding double-digit growth from publicly traded companies. Unfortunately, new research by APQC shows that only 40% of 130 finance executives from very large organizations rated their financial planning and analysis (FP&A) capabilities as effective. Responses to several other survey questions underscore that FP&A at many companies is not very far up on the maturity ladder. What’s going on? Two thirds of survey participants said their finance teams are always swamped by basic financial management duties such as periodic forecasting of how performance is trending versus annual budget targets. They have little time for, say, investigating cost drivers or testing the probable outcomes of bundling and pricing options. What is really sad is that 20 years ago CFO magazine was writing about the need for improvement in this area. The message was: to be relevant in the pursuit of strategic objectives, finance teams had to become stronger business partners and generate analyses that help decision makers increase economic profit. Today, a lot of work remains untouched. 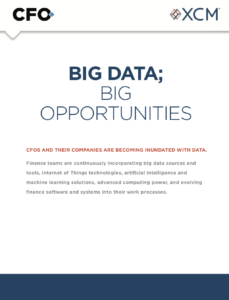 The research shows that most CFOs are willing to invest in better financial systems and data models, but they are not necessarily inclined to develop analytical talent or polish their FP&A process models. Indeed, only half of the survey takers reported that the business entities they serve are committed to expanding the mission of finance so that it adds more value to decision-making. Nonetheless, there is one brighter spot on the horizon. 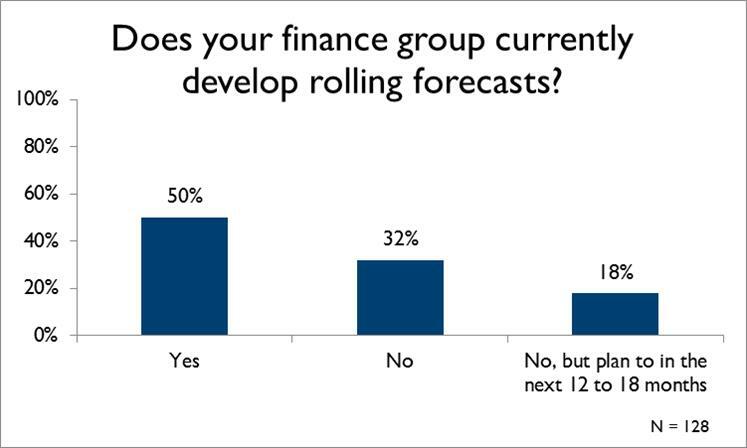 Survey respondents indicated the move to rolling forecasts is well underway (see the figure below). When an organization conducts a rolling forecast of revenues and operating margins, it is anticipating and dissecting emerging trends that will impact the business four-to-eight months into the future. Coupled with regimens such as driver-based planning, rolling forecasts can help an organization be more agile in the face of fast-moving marketplace trends. 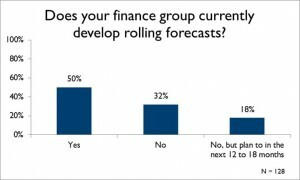 The APQC survey showed that organizations that do use rolling forecasts are better aligned with unfolding business strategy, are more effective at business analysis, derive greater value from their budgeting and planning processes, and have more reliable forecasts than those who do not use them. 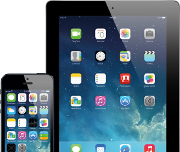 For example, 94 % of businesses that use rolling forecasts described their business analysis as effective. Only 50 % of those who do not use rolling forecasts described their analysis that way. Arguably, the move to rolling forecasts is a first step to take in building stronger FP&A capabilities. Still, it is good to see that the static annual budget is being augmented by a planning technique that can provide the business with a continually refreshed view of opportunities and challenges. When it comes to the use of other relatively advanced planning techniques, the survey found that FP&A organizations that engage in scenario analysis or predictive analysis felt they are better aligned with unfolding strategy. It’s a decent bet that over the next 12 to 18 months, more finance teams will be looking at doing projects along these lines. But many will surely face a cross-road: “should we get started with these techniques and learn how to demonstrate their value to the business?” Or “should we wait until we’re asked by the business side to get up to speed? Surely, progress will evolve in stages. In all, this may be a good opportunity for CFOs to engage their planning teams in some soul-searching. Mary C. Driscoll is a senior research fellow at APQC, a non-profit business-research firm. From the article: “The research shows that most CFOs are willing to invest in better financial systems and data models” – it would be interesting to see this research because in my experience this has not been the case.